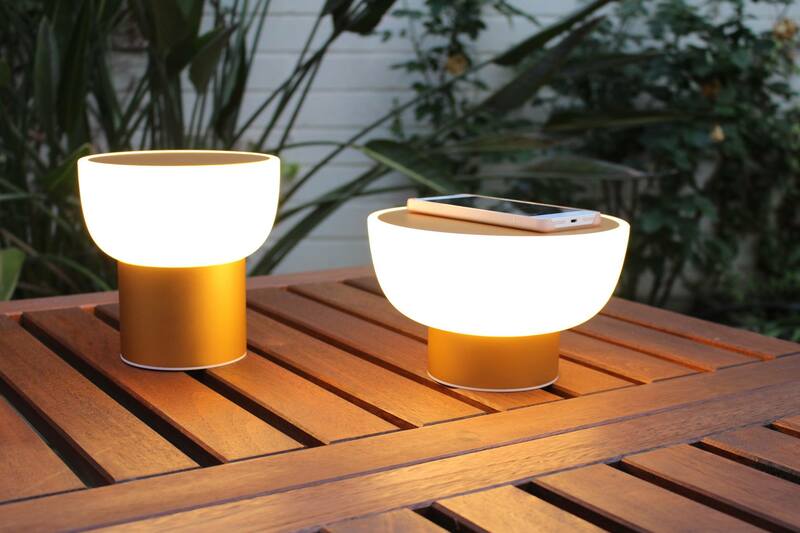 PATIO has two versions, one low and one higher, and two finishes, gold and silver. 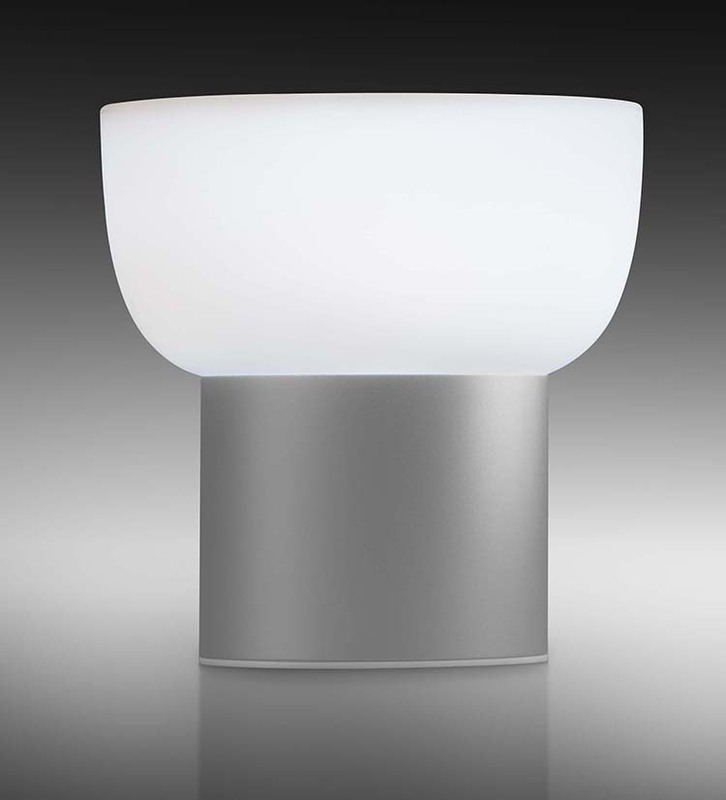 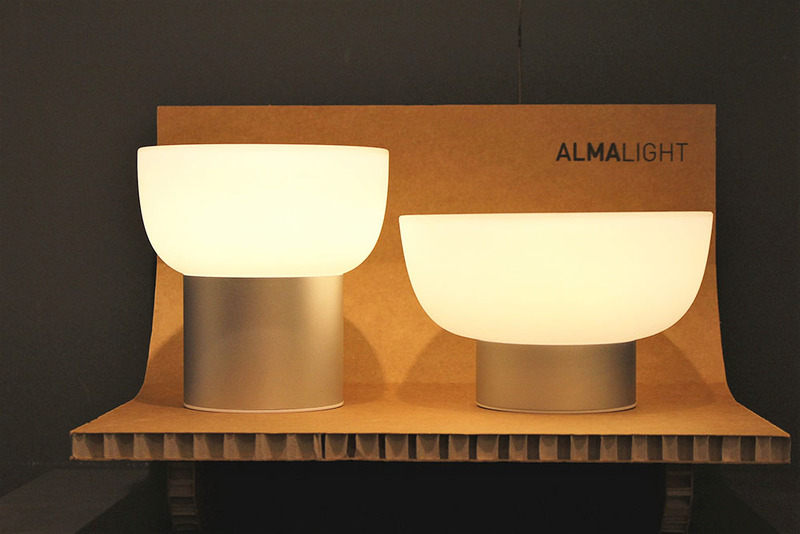 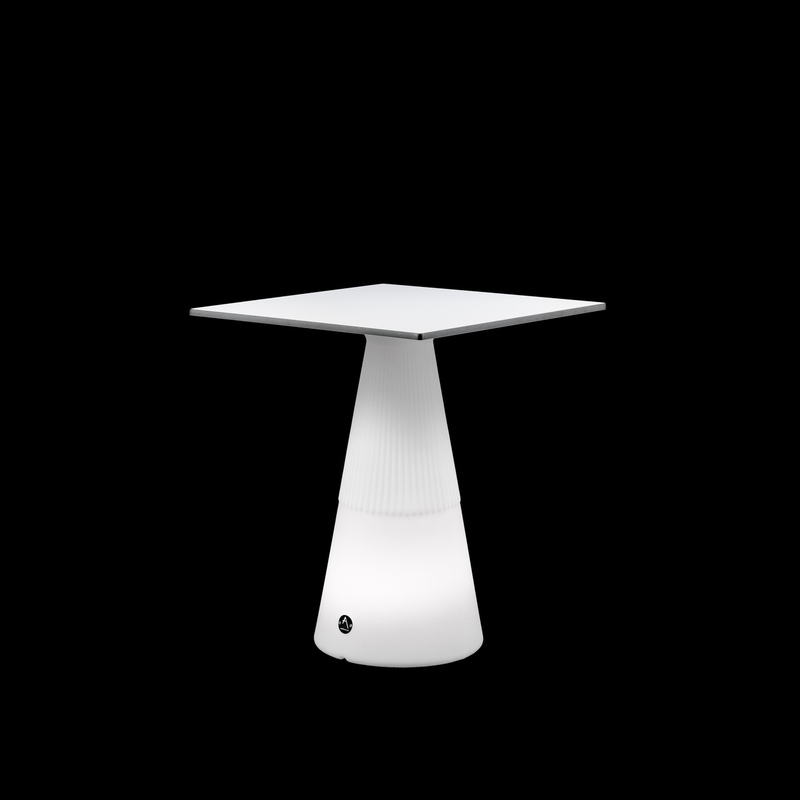 The shade is made of rotomolded polyethylene and has an anodized aluminum cover that prevents glare. 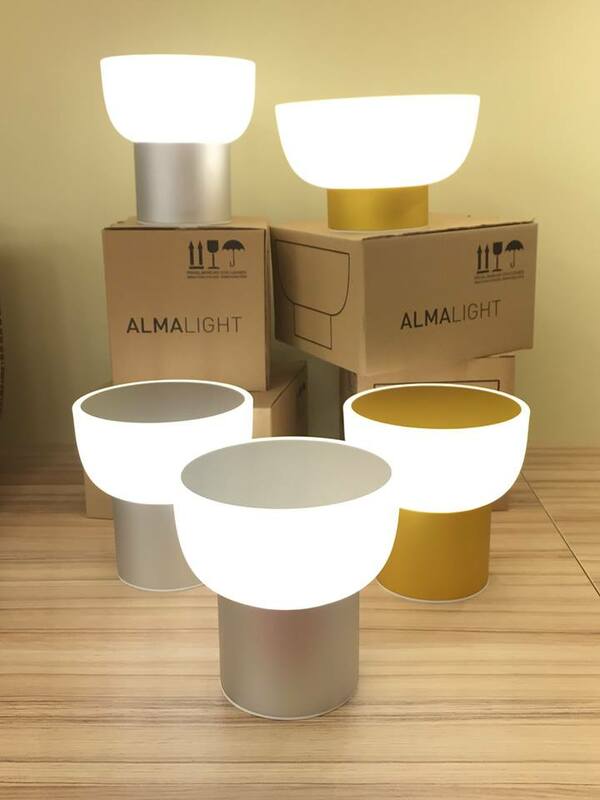 It includes an LED (3W Citizen 3000K) which luminous performance is of 60lm in the low intensity, 260lm in the middle and 420lm in the maximum. 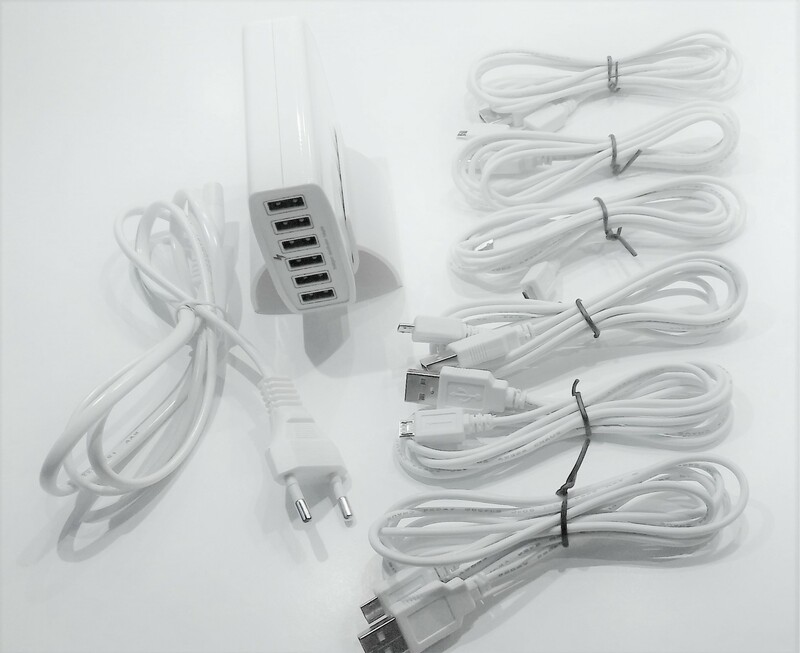 It has a LI-Ion battery that allows an autonomy several hours and is charged by a USB connector like that of an Android phone. 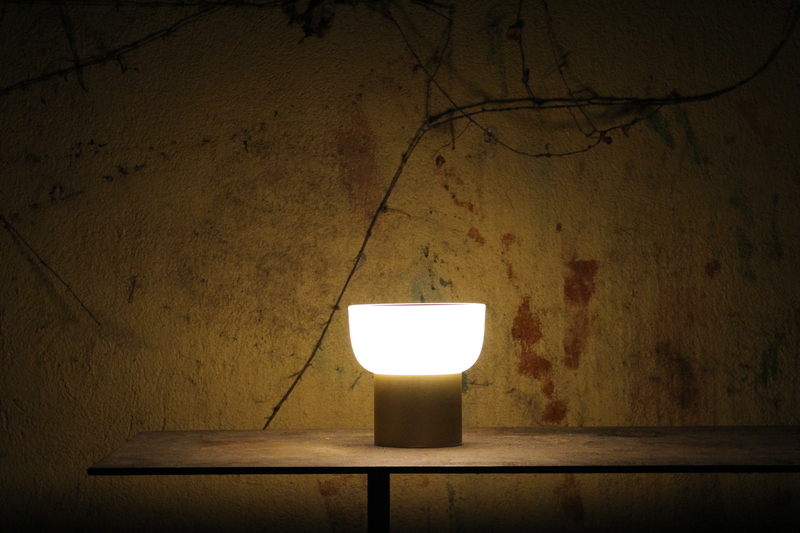 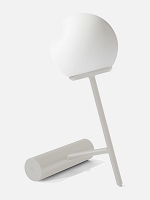 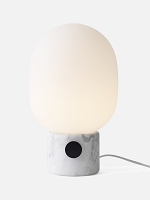 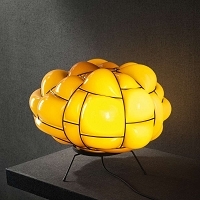 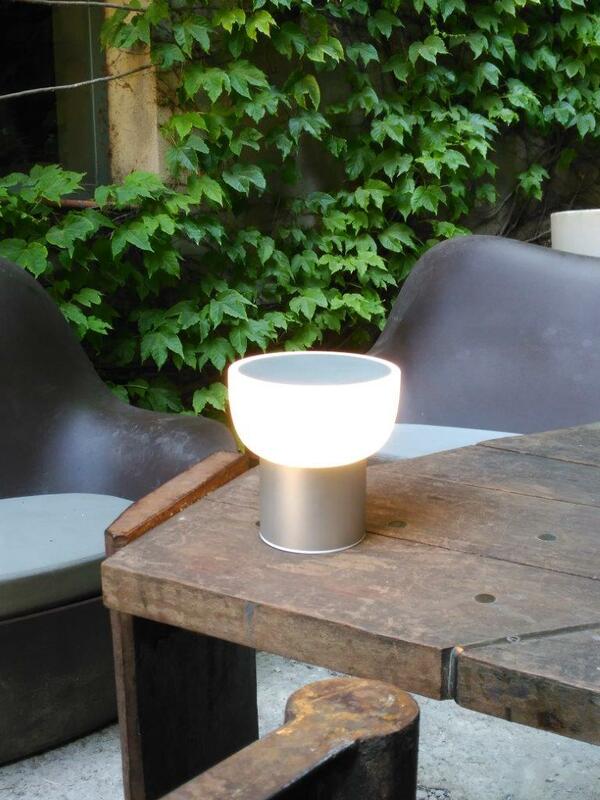 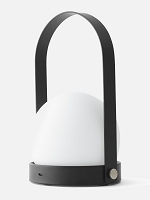 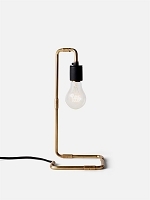 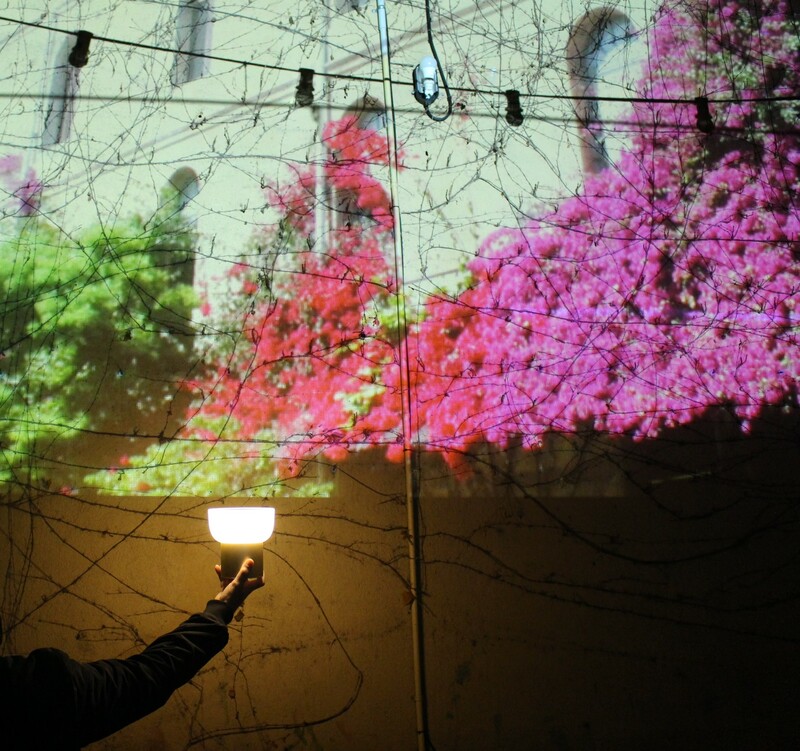 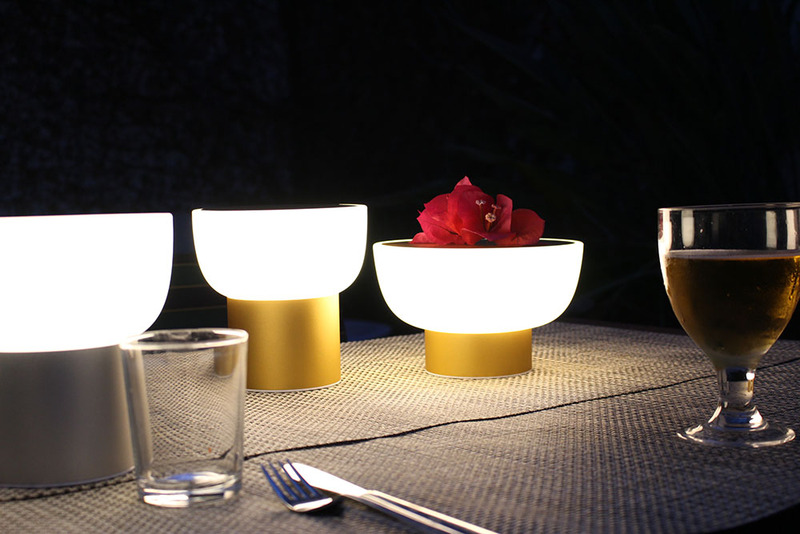 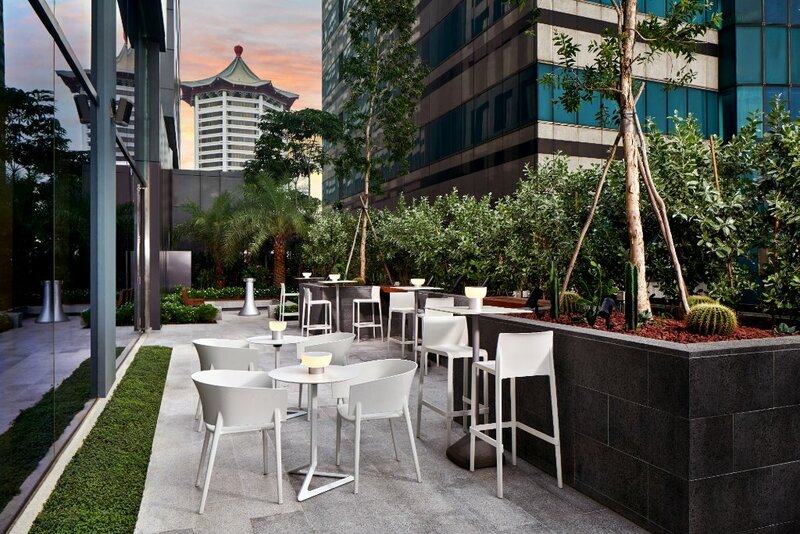 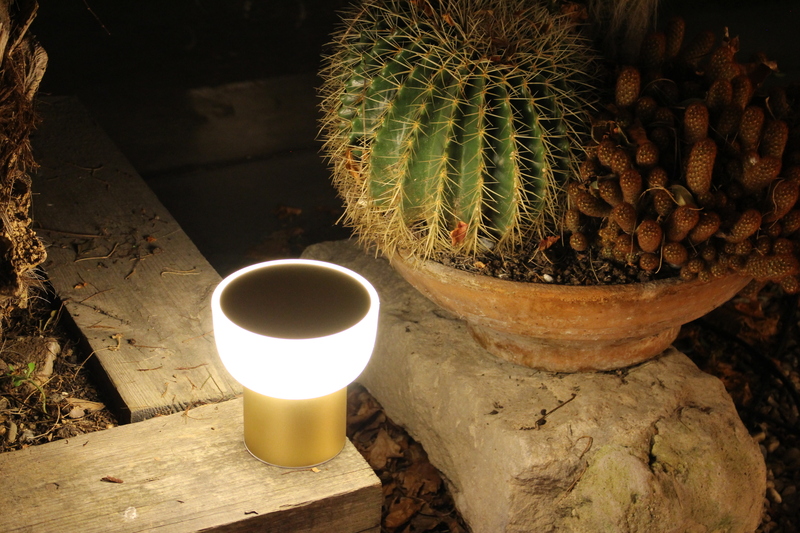 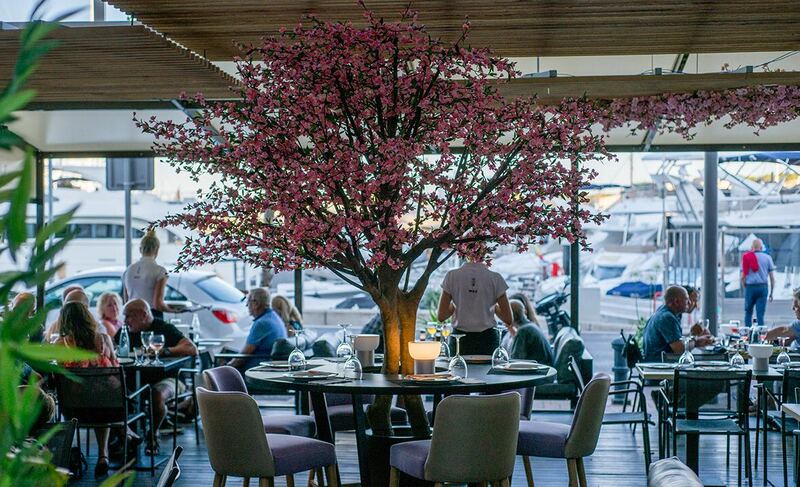 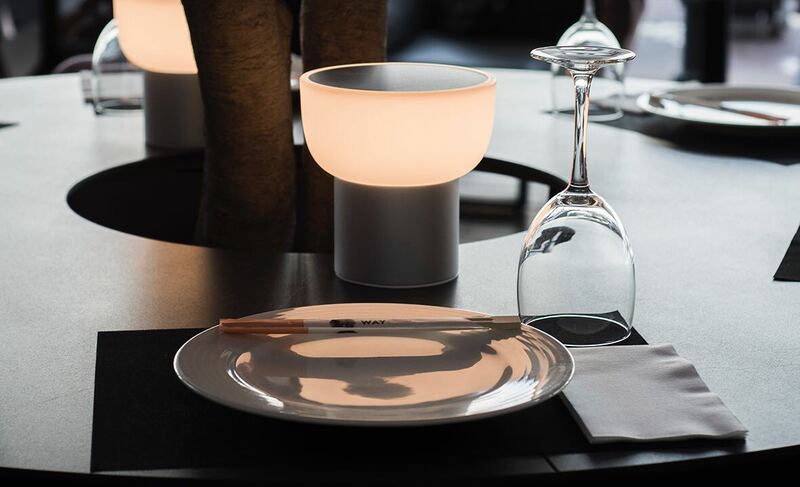 In addition, the base has silicone bumpers to prevent it from sliding if the support surface is not stable.PATIO is a lamp with a fun design, without cables, designed to illuminate a table, either indoor or outdoor, without the need of a plug.